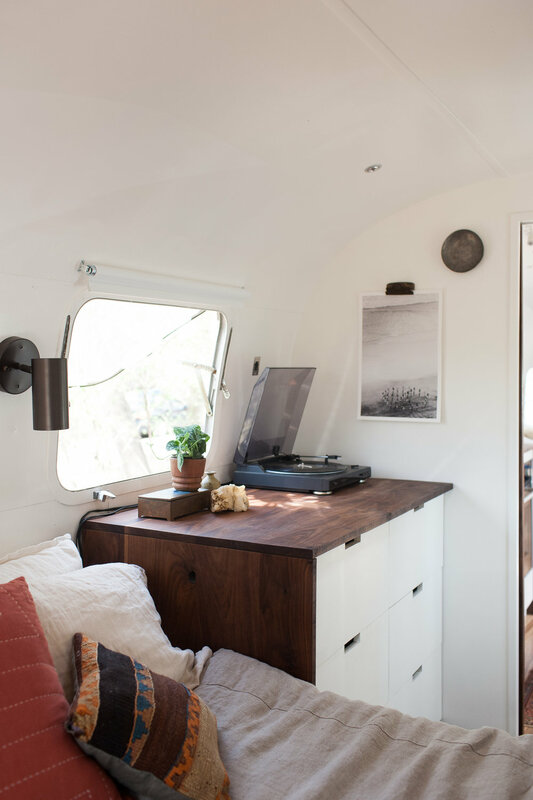 The Airstream with those walnut countertops. June was our most intensive renovation to date, starting with a full demo and strip, extensive chassis repair, and complete rebuild with custom designed and built cabinetry, walnut countertops with waterfall edge, pocket door, and engineered wet bath with penny tile. The design centered around personal elements: the toughness of walnut, a long-time dream to own a French farm table, and learning and growing as builders and designers. June was the project that single-handedly launched The Modern Caravan: our hope, dream, and goal. 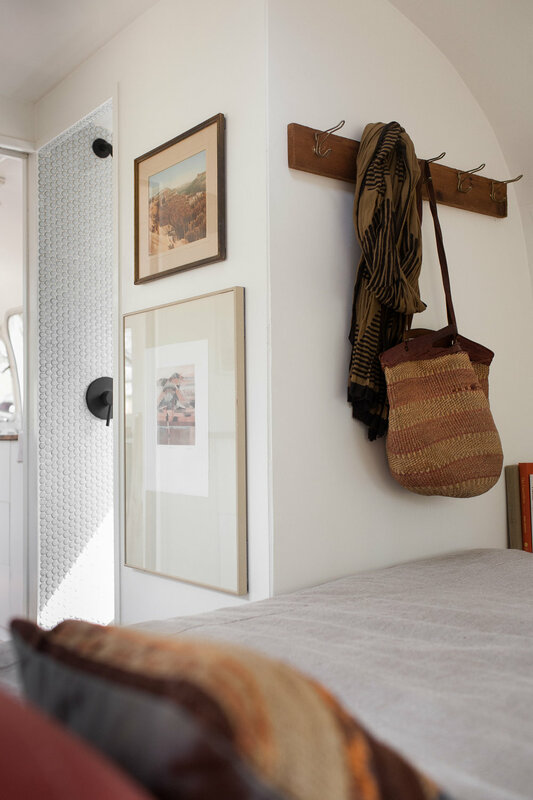 Our second Airstream home was purchased by Jamie and Lauren Eichar, a husband-and-wife photography team.